ArtNaturals is one of the newest natural beauty brands to enter my collection. I fell in love with their Clarifying Face Wash and wanted to explore more of their products. I have their Argan Oil Shampoo and Conditioner and I love how my hair feels! Ingredients | These haircare system is made with argan oil to hydrate and restore hair. The shampoo also has jojoba, avocado and almond oil. The conditioner has thyme, rosemary and aloe to keep hair soft and smooth. Formula | One thing I loved right away was the natural, fresh scent of these products. It wasn't overwhelming, just a light, refreshing fragrance. Also, I didn't have to use as much shampoo and conditioner as I'm used to. These bottles will last a long time which makes them a great value. Performance | Natural ingredients don't have to mean lack-luster performance. I love how my hair looks and feels after using the ArtNaturals shampoo and conditioner. The shampoo thoroughly cleans while leaving my hair really smooth, even before I've started conditioning. The conditioner gives the finishing touch with a boost of hydration, softness and shine without weighing my hair down. It also helps protect hair during heat styling and provides UV protection. 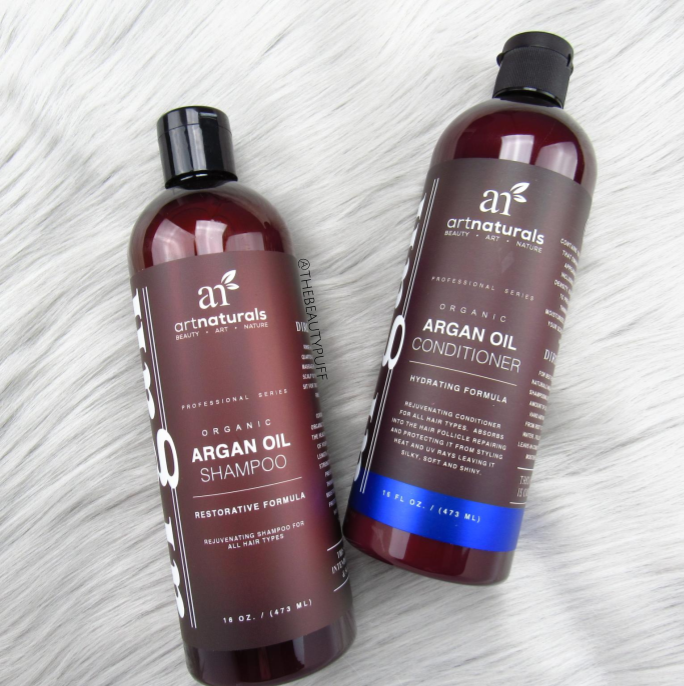 ArtNaturals makes a variety of hair products to help cleanse, hydrate and style. Shop below to explore the entire line!